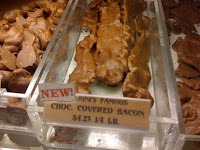 Chocolate covered bacon. I usually have both on waffles so I can't see why I will not like this. To know more, read here.